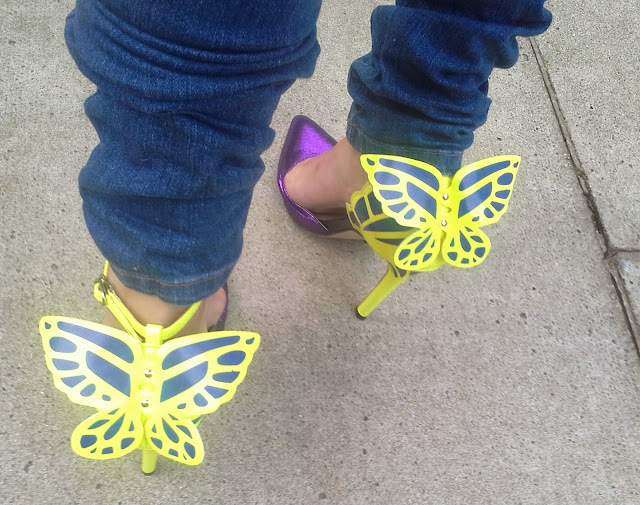 Yes I am posting at 2 am, I am out of my mind. I am still packing for my holidays, tomorrow we fly back to Italy for a bit and of course, I have 373747 things to do. I just wanted to say a quick hello, and introduce you my new shoes! 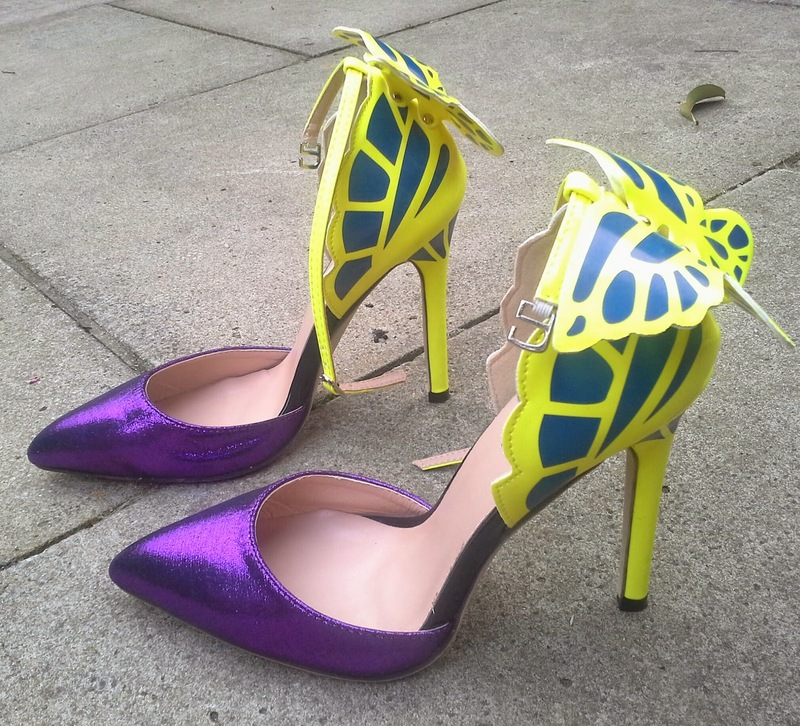 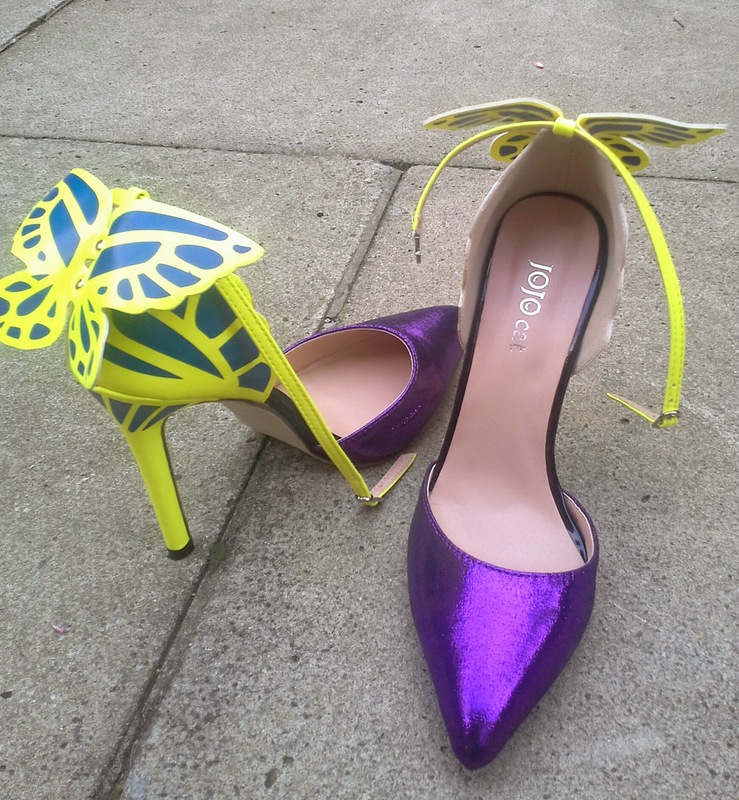 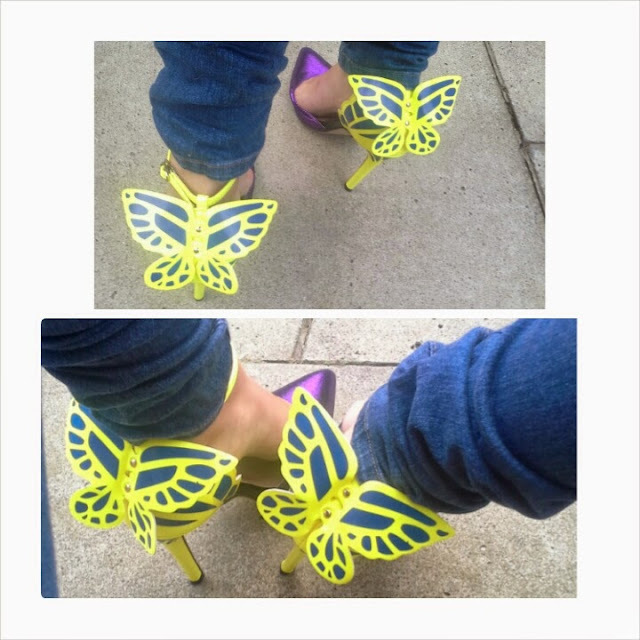 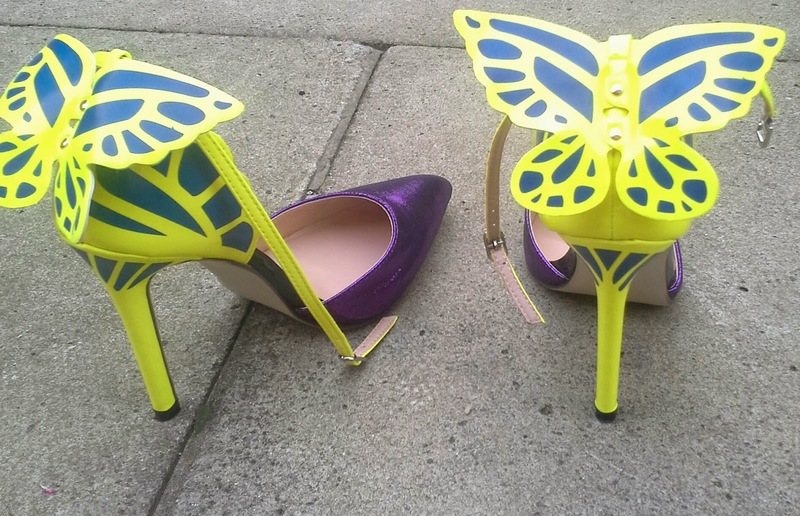 They are of course very inspired to the Sophia Webster butterfly shoes, but listen, I only paid around 19 quids for these so they are more than ok for me. 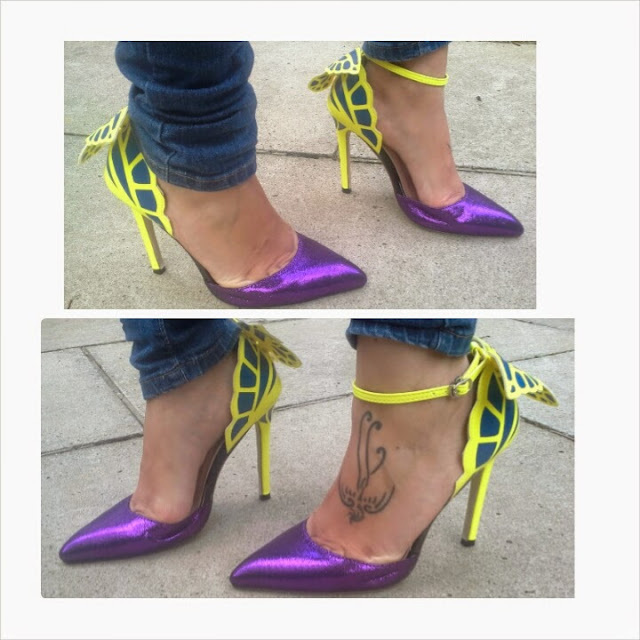 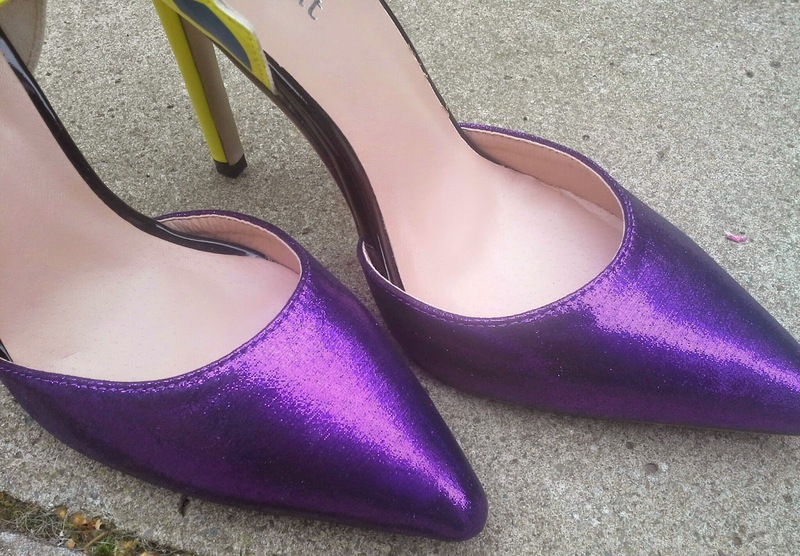 I love the purple metallic fabric and they are quite comfortable. 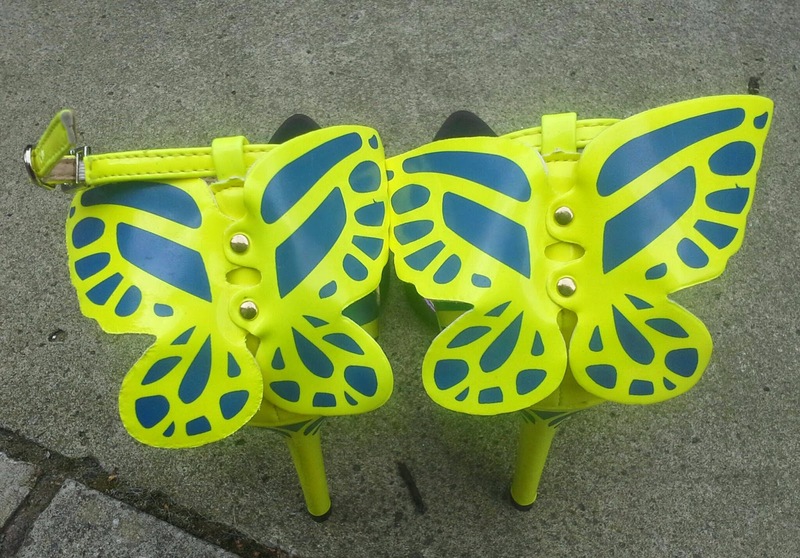 Here is the link to the ebay seller I got these shoes from but if you just write "vampire diaries butterfly shoes" in the search box you should be able to find the same style and maybe get a better price!